is still available. 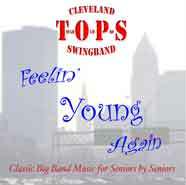 Click on the CD cover above to hear some song samples. Thur. May 2 - Independence Village, 345 Lear Rd, Avon Lake. 44012. 2-3 p.m.
Thur. May 9 - McGregor Home, 14900 Private Dr, Cleveland 44112. 7-8 p.m.
Wed. May 29 - Cardinal Village, 171 Graham Rd, Cuyahoga Falls 44233. 2-3 p.m.
Thur. June 20 - Berea-Midpark HS, 165 E. Bagley Rd, Berea 44017. Kiawanis Fundraiser. 7-9 p.m.
Tue. June 25 - Fairfax Place, 9041 Cedar, Cleveland. 2-3 p.m.
Thur. June 27 - Harvard Community Center, 18240 Harvard, Cleveland 44128. 11 AM-Noon. Sun. July 14 - Slovenska Pristava, 1024 Brandt Rd, Geneva, Oh 44041. 2-4 p.m..
Sun. 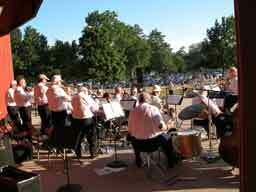 Aug. 4 - Hudson Bandstand, corner Route 303 & 91, Hudson 44022. 6-8 p.m. (was June 16). Thur. Aug. 8 - Brecksville Community Center, 1 Community Dr., Brecksville 44141. 7-8:30 p.m.
Thur. Dec. 19 - McGregor Home, 14900 Private Dr, Cleveland 44112. 2:30-3:30 p.m.